The Brontës head for Skipton this month as the town’s Little Theatre hosts Blake Morrison’s play We Are Three Sisters. 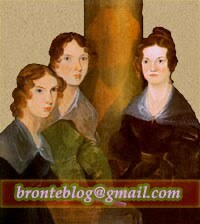 A spokesman said: “In Haworth in the 1840s, in a gloomy parsonage, where there are neither curtains nor comforts, Charlotte, Anne and Emily Brontë light up their world with outspoken wit, aspirations, dreams and ideas. Whether you are a huge fan of the Brontë sisters, or know very little about them, the latest offering at the Apollo Theatre is a fascinating one. The theatre is staging Brontë, a 2005 play by Polly Teale — a brilliant review of the lives of the remarkable trio of sisters/authors, who despite being cooped up in an isolated parsonage, managed to free themselves by creating enthralling and timeless stories. It takes the audience through their lives from childhood to the heartbreaking moment their brother Branwell dies, swiftly followed by the loss of Anne then Emily, leaving Charlotte bereft and forced to carve out a new life for herself. As I write, the now-closed Haworth Tourist Information Centre stands derelict looking down Main Street. However, it could be made a little more useful and pleasing to the eye. Why not use the windows to display local maps, Brontë Parsonage information, Keighley & Worth Valley Railway train information? Sitting alongside Martin Luther King and Emily Brontë in assembly at one Ipswich school this morning was a want-to-be paediatric consultant, an aspiring midwife and a handful of Olympic hopefuls. Nun erscheint die Doppel-CD „Jane Eyre — Das Musical“ mit der Aufzeichnung der deutschsprachigen Erstaufführung und dem Original Cast unter der musikalischen Leitung von Caspar Richter. La Región (Spain) announces the performance of the Teatre Lliure's production of Jane Eyre in Ourense. John Haber finds Jane Eyre connections in Jeanne Silverthorne's From Darkness installation.